Cory King of Side Project Brewing is part of a curious new generation of American brewers. He's focused on mastery, not markets. Yeast strains more than hops. And blending as much as brewing. And he can do all this because Side Project is exactly that — an internal start-up at Perennial Artisan Ales in St. Louis, where King also serves as head brewer. King was Perennial’s first hire. 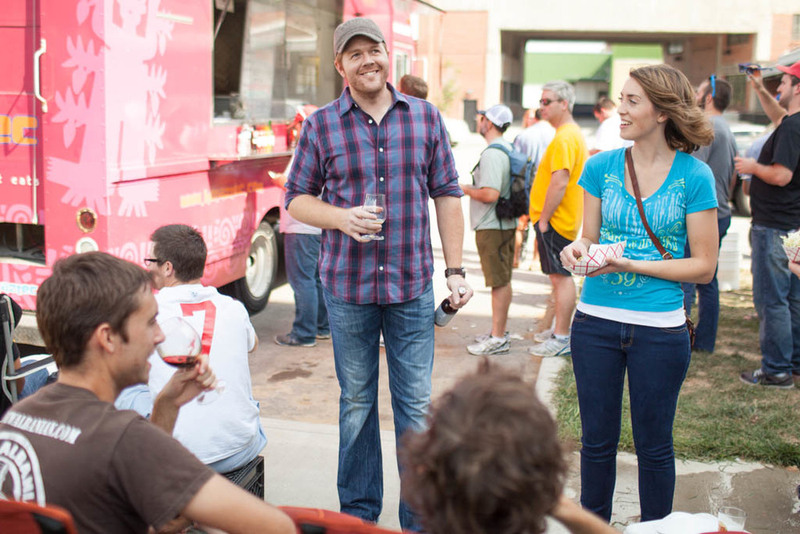 Owner Phil Wymore, himself a former Goose Island and Half Acre employee, had launched a small, unassuming brand in a former Coca-Cola bottling plant on St. Louis’ southwest side, just down Interstate 55 from Anheuser-Busch along the Mississippi River. Focused on small-batch seasonals, many of which are Belgian-inspired, Perennial’s format is the kind of brewery that want-to-be brewers across the nation pine for. King was no exception. King’s first batch was Hommelbier, a dry-hopped Belgian pale ale with a slightly malty finish and plenty of earthy, spicy notes and a dry citrus aroma. For someone with no professional brewing background, you might think this was an ambitious recipe for a first mash. But the way Perennial was built was familiar to King. On the back of all that success, most brewers would be happy to catch their breath. But like so many amateurs-gone-pro, it’s the thrill of the next recipe that drives King. Producing Hommelbier, or any other the widely-applauded Perennial Ales, can only bring so much satisfaction — they’re only new once for King. "I have the attention span of a child. But when it comes to brewing, you grow your skill by brewing more and more batches of the same thing. That’s just not my forte. I need the stimulation and the challenge of new beers all the time.” Perennial has been prolific by any standards, introducing ambitious beers like Heart of Gold, Abraxas, and Peach Berliner Weiss in the past year. So when King says he needs stimulation, he’s talking about an extreme need to go further, into an area of brewing where business viability is challenging, to say the least. King’s owned his own business before. He even has a master's degree in business. So he’s not naive to the constraints and goals of commerce. And before he ever set his eye on Perennial, he’d put together a business plan for a brewpub in St. Louis himself. But having to rely on chefs and a staff, start-up costs, and not having the operational experience kept it on the back burner. So he surprised himself when he was suddenly thinking of pursuing his own brewery less than a year into his time at Perennial. “It’s part of my personality to have my own thing. It’s always been an end-all goal. But I didn’t think Perennial was going to be a stepping stone. I thought I’d be here for a long, long time before I made the jump,” King said. It was a trip to the Craft Brewers Conference that planted the seed in King’s mind — even if he didn’t realize it at the time. This past September, King opened “Side Project” to the public in an official capacity, throwing open the doors of Perennial's tasting room for the line snaking around the parking lot with a communal bottle share akin to a mini Dark Lord Day. King’s 100-percent barrel-aged, and mostly barrel fermented beers explore the outer edges of what Perennial is already doing — pushing yeast strains into new and interesting territory, elevating fruit flavors, and finding balance in unexpected places. Beers like Saison du Fermier, his chardonnay-barrel saison — “a weird cocktail of bugs and yeast, old-meets-new kind of beer” — is a batch to batch vintage for King, meaning replication will be nearly impossible. But that’s hardly the point. At this years’ Festival of Barrel Aged Beers (FoBAB) in Chicago, King took the stage for both sides of the brewhouse. He won gold in the Wild Beer category with 35 entires for his Side Project Fuzzy, an American wild ale fermented in chardonnay with Missouri white peaches. “I picked them myself from Bakers Farm,” says King. “We met these awesome old ladies who wanted me to bring them some afterwards. They’ll probably hate it. But I’ll bring them some anyways. There’s all kinds of bugs and critters and my only ‘lab' is me tasting the beer. I don’t even know what all's in there since some of it’s spontaneous.” Perennial’s Barrel-Aged Abraxas also took a gold medal at FoBAB — an imperial stout aged for just over a year in rye barrels with cacao nibs, vanilla beans, ancho chiles and cinnamon sticks. The relationship between Perennial and Side Project is a mutually beneficial one. Side Project takes advantage of free capacity and provides a way for King to keep experimenting. And every bottle release creates a draw in the Perennial tap room. 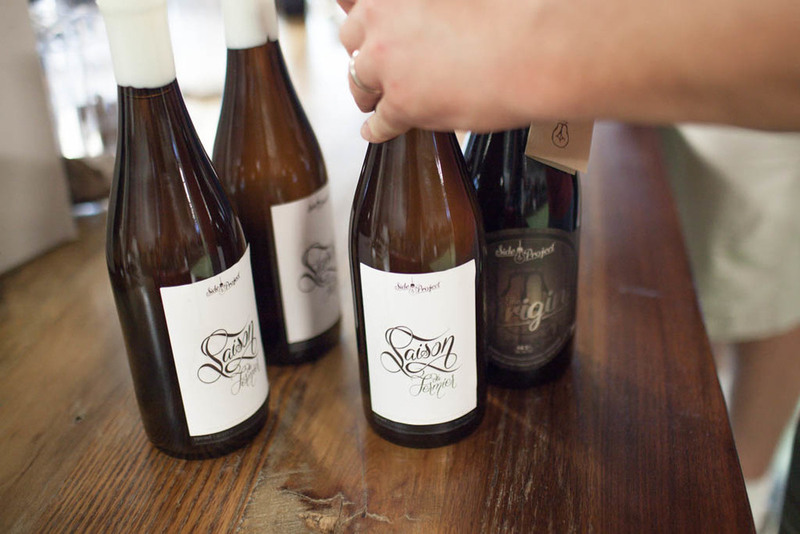 It’s hardly competitive — Side Project released only fifteen barrels into the market last year. That’s right, fifteen. But for all intents and purposes, they treat it like a partnership. “This year Perennial is looking for more space, and we’re looking at space together. Russ and Phil are so open about everything. They’re not funding it, but we’re working together. I’ll be brewing for Perennial for a really long time. One day maybe I'll have to split my salary because I’ll need more time for Side Project, but really it’s a means of taking a different approach. I come at it from a really old perspective of when you'd brew beer to feed your family, give to workers or barter with. And you can tell by the styles I’m making that it’s not even feasible to do 10,00 barrels and put it in oak. And I want to be the one brewing it. I didn’t start a brewery to sit at a desk and have other people brew my beer. I love to brew, and that’s the point. As long as I can support myself, keep the guys at Perennial happy, and do my thing, then it’s right."